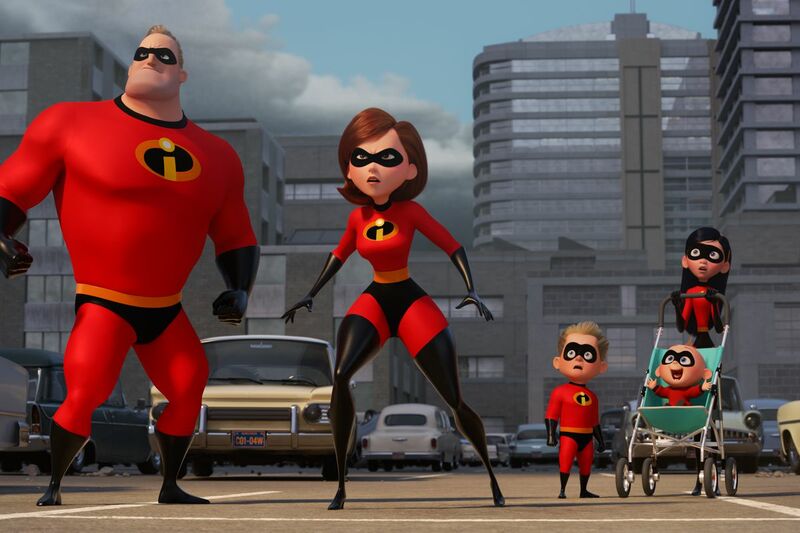 Our favourite superhero family is back in Incredibles 2! But this time Mum, Elastigirl, is out saving the world and back at home, Bob is facing his own challenges: helping Dash with his maths homework, nursing Violet through the traumas of her first teen crush and containing baby Jack-Jack’s emerging powers. Incredibles 2 truly shines as a sequel, with top critics claiming it has even outshone the original. Behind the hi-tech adventure that young and old kids will appreciate, there are genuine themes here that we can appreciate – the perils of parenthood, family stress and gender inequality. Smashing the box office, Incredibles 2 deserves a family cinema trip this summer, with lots of popcorn. In the heart-warming live action adventure "Disney's Christopher Robin," the young boy who loved embarking on adventures in the Hundred Acre Wood with a band of spirited and loveable stuffed animals, has grown up and lost his way. Now it is up to his childhood friends to venture into our world and help Christopher Robin remember the loving and playful boy who is still inside. This Disney movie looks like a feel-good, family-friendly option for big kids and up, and hits UK cinemas during the school summer holidays (17th August). But be ready for some sad moments too, with a bittersweet nostalgia as we revisit the loveable inhabitants from the Hundred Acre Wood. Hotel Transylvania 3 will deliver the light-hearted, goofy fun and a good escape to the cinema that you need this summer; promising a great time for children, parents, and fans of the funny franchise. Join your kids’ favourite monster family as they embark on a vacation on a luxury monster cruise ship so Drac can take a summer vacation from providing everyone else's vacation at the hotel. Aside from the laughs and dazzling animation, Hotel Transylvania 3 also holds a timely message — one of acceptance, love, and tolerance of those different from us — that is especially needed right now. Perfect for a mum-and-daughter cinema trip, or for a girls trip to the cinema! The original Mamma Mia won our hearts a whole ten years ago and raked in a massive $144 million at the box office. Now, the all-star cast and beautiful Greek scenery is back, with the story picking up after the wild wedding to which bride-to-be Sophie (Amanda Seyfried) invited three of her mom Donna's (Meryl Streep) former lovers. But it also flashes back to the past, telling the tale of a young Donna (Lily James) and the Dynamos (Jessica Keenan Wynn and Alexa Davies, with Christine Baranski and Julie Walters returning as their modern counterparts). Although most of ABBA's biggest songs were in the first film, Here We Go Again promises to have plenty of music and dancing -- this time with a '60s twist. Mamma Mia 2 hits UK cinemas this Friday 20th July and is the perfect feel-good flick to kick off your summer, singing along with your gal pals. The beloved team of superheroes have made the jump to the big screen with everything you love about the nutty TV show still intact. It seems that all the major superheroes out there are starring in their own movies -- all but the Teen Titans. Robin is bound and determined to remedy that situation by becoming a star instead of a sidekick. With a few madcap ideas and a song in their hearts, the Teen Titans head to Hollywood to fulfill their dreams. Things soon go awry, however, when a supervillain plans to take over the planet -- putting the very fate of the young heroes on the line. With children's humour and dazzling, colourful animation, Teen Titans Go! is sure to entertain your younger kids this summer. Seen a film you fancy? Don’t forget you can get up to 40% off adult and child cinema tickets with your Kids Pass, this covers the whole household and can be used on up to 5 devices, so your teens can use it for their cinema trips too! Not a member? No worries, you can try the membership for a trial period of 30 days for £1, and cancel anytime, here. You can purchase your cinema codes now and use them whenever you like.